More late afternoon SW action on the OBX! Yesterday, winds ramped up again into the mid/upper 20s under bright sunshine and warm air temps. Jockey's Ridge held the top spot for the windiest weather most of the day; however, during the early evening hours, the southern locales filled in, and everyone must have had a late dinner last night! 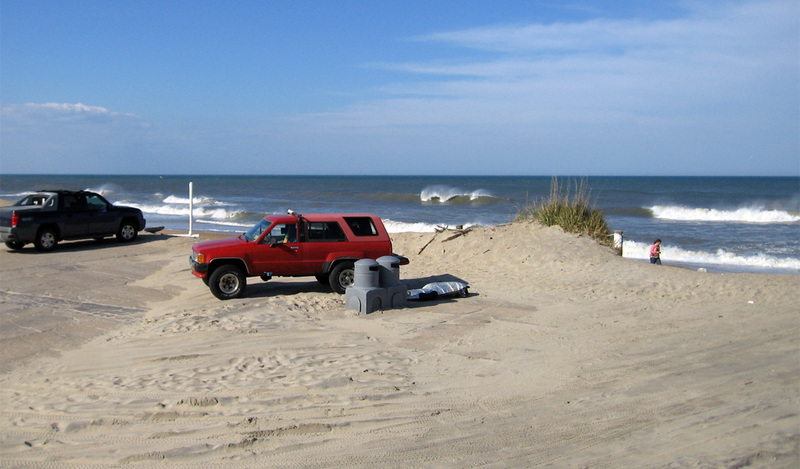 I remained local and hit a wave sesh at the old Jennette's Pier beach in south Nags Head. The pier was removed a few years ago, and now a large parking lot remains along with easy access to the water. The spot works best on SSE wind, though yesterday strong S wind produced side-off spray on the wave tops enticing me to give it a shot! Tim K joined me for the sesh, though the light inside left me solo in making it out. The surf ranged chest to head high with clean lines, though they were breaking within the wind shadow of the oceanfront buildings, so wind was squirrely in the zone. 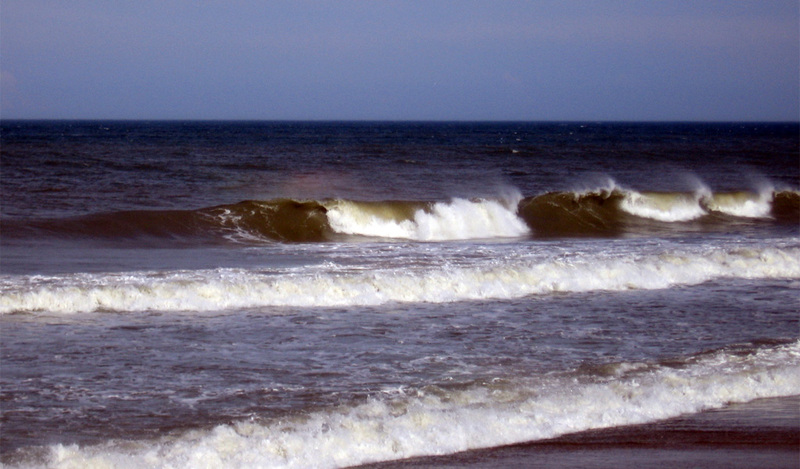 I had one solid head high wave as I caught a powerful swell which brought me into the zone with minimal wind. It was a "one hit" wonder/wipe out, and I likely crashed since I was so excited to find a big lip to hit, and lost the fin on reentry. The adventure under the froth though was fun, as I held onto the booms and took the roller coaster underwater ride for a little while!